Pan Roasted Vegetables—an easy and delicious side dish for any weeknight or holiday. Just add your favorite vegetables, toss in olive oil, season with your favorite seasonings, and bake for about 45 minutes. This recipe is so easy to customize with all of your favorite vegetables. Use fresh summer veggies in the summer; cabbage, onion, squash, carrots, okra, zucchini, and the list goes on. When fall rolls around don’t hesitate to use those fresh veggies from the fall harvest; sweet potatoes, brussels sprouts, cabbage, broccoli, cauliflower and more. Don’t worry if you don’t have fresh veggies, frozen veggies will work as well. 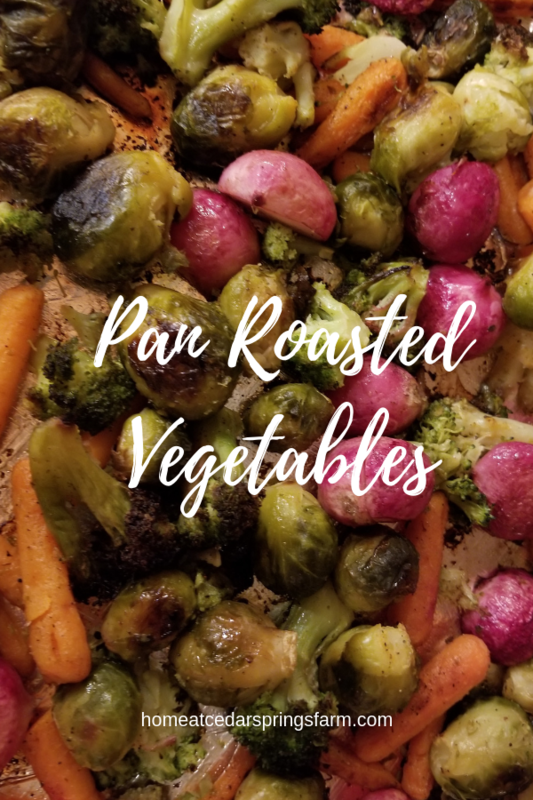 I love Pan Roasted Vegetables, and I especially love roasting them in the oven. Not only are they delicious, but they are also healthy. 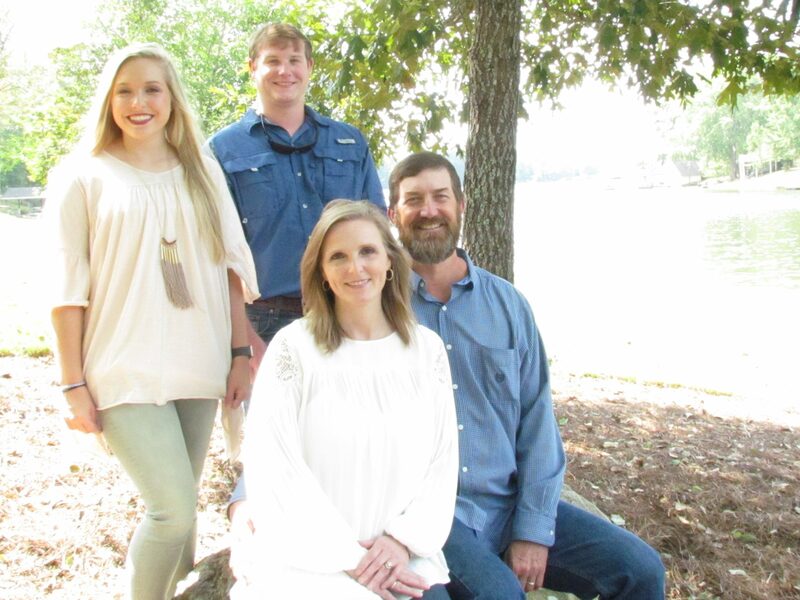 You can customize this recipe to please all of the people in your family. Just load up the pan with everyone’s favorite and satisfy even those picky eaters. 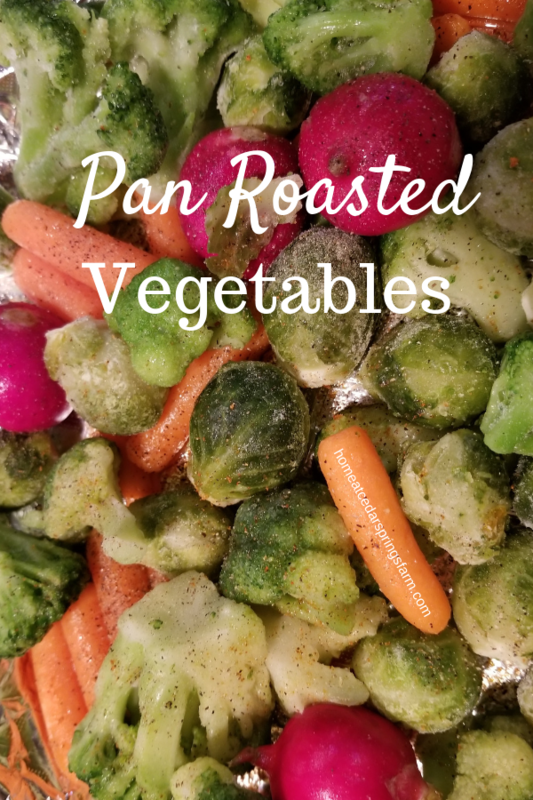 Pan Roasted Vegetables---an easy and delicious side dish for any weeknight or holiday. Just add your favorite vegetables, toss in olive oil, season with your favorite seasonings, and bake for about 45 minutes. If you like, line a sheet pan with foil for easy clean up. Drizzle olive oil on veggies and toss to coat. Sprinkle with your favorite seasonings. Bake for about 45 minutes or until your vegetables are tender. Yes, it is healthy. This is one of my go-to recipes at night especially when I am rushing in after work and trying to prepare supper. I love roasted veggies!! So delish! Especially Brussels sprouts! Me too! 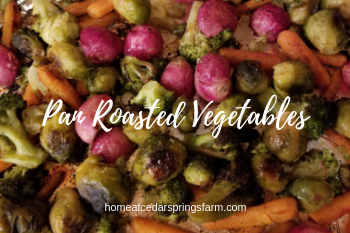 Roasted veggies are so delish! Brussels sprouts are my favorite! This is a great recipe to use all of those veggies from the garden! Enjoy!! Me too! I usually make this dish at least twice a week! I change up the veggies and use what I have in my refrigerator or freezer! Thanks for stopping by. This looks so easy and yummy! We all love roasted brussel sprouts at my house! I was just thinking to myself that I need to be cooking and eating way more veggies. Now that my daughter is eating table food, it’ll be a win-win! These look so yummy…thanks for sharing! This is a great way to get in your veggies! We eat a lot of roasted vegetables at my house! Enjoy!